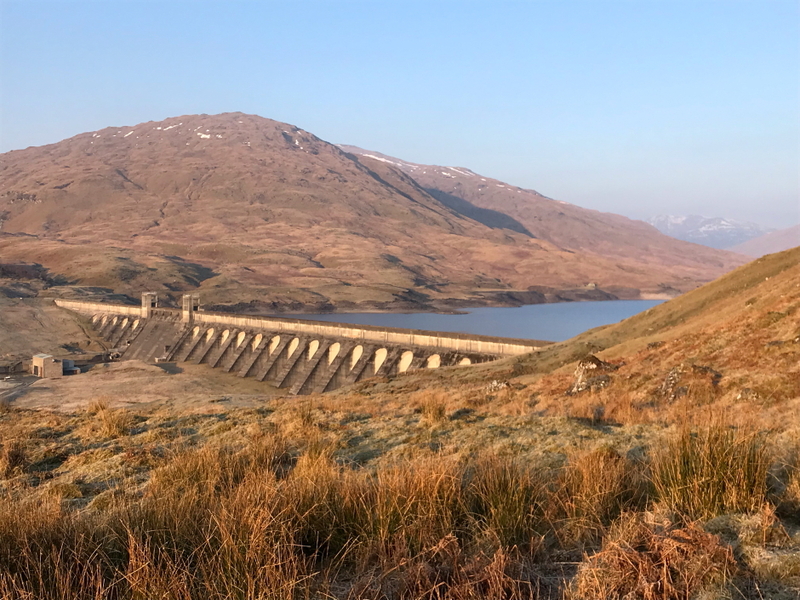 On Thursday evening I drove to the end of Glen Lyon with a view to ascending Stuc an Lochain in the morning. 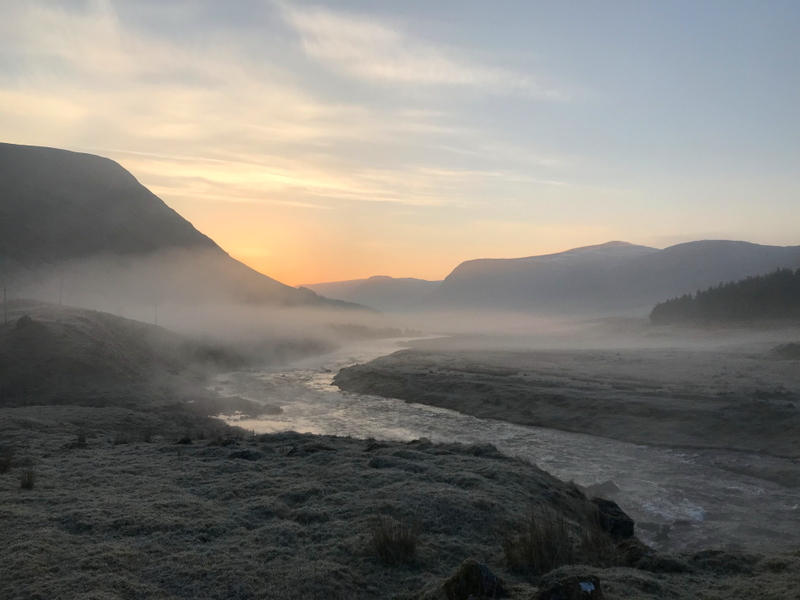 On awakening on Friday morning, the early morning views were fantastic. 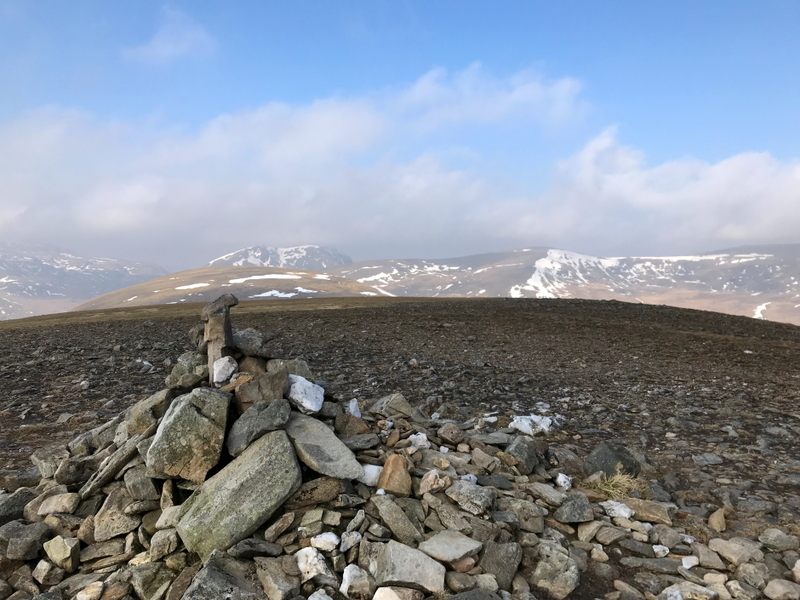 A last-minute change of plan saw us abandon easy Stuc an Lochain in favour of a longer walk from the end of Glen Lyon out to Beinn Mhanach. This was to be my first hillwalk in six weeks owing to injuries and health issues. 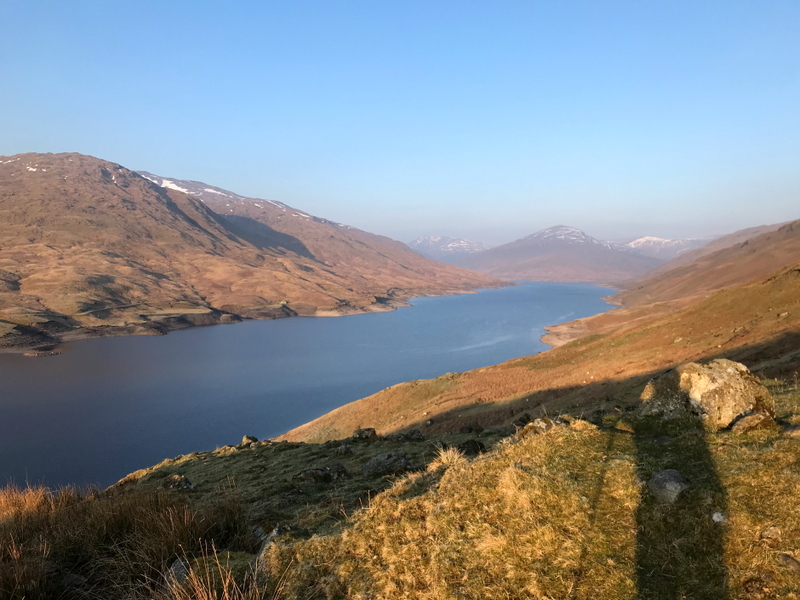 From Pubil, we set off walking along the track to the north of Loch Lyon. After the initial steep ascent, the walk was really nice despite the -4C temperature. 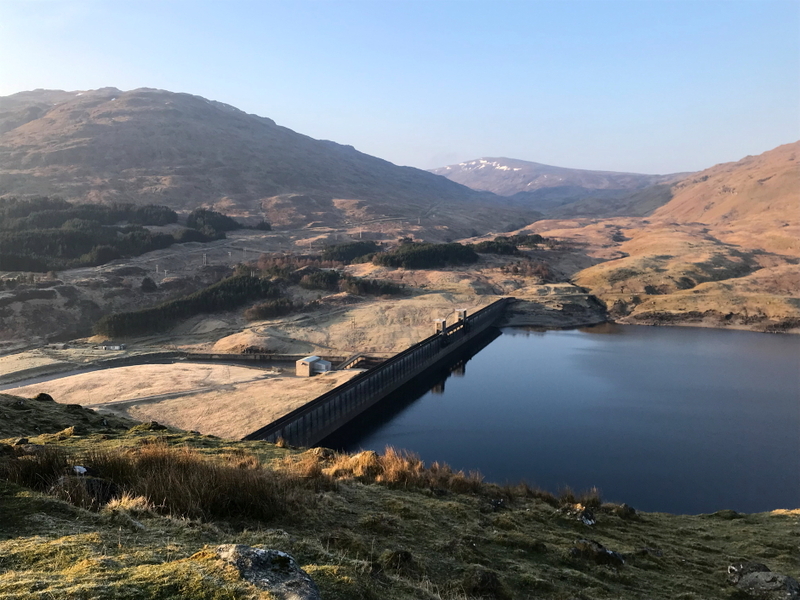 The early morning sunshine was lighting-up the dam. As we walked along the loch we could see Beinn Mhanach beyond the loch end. It looked a long way off. 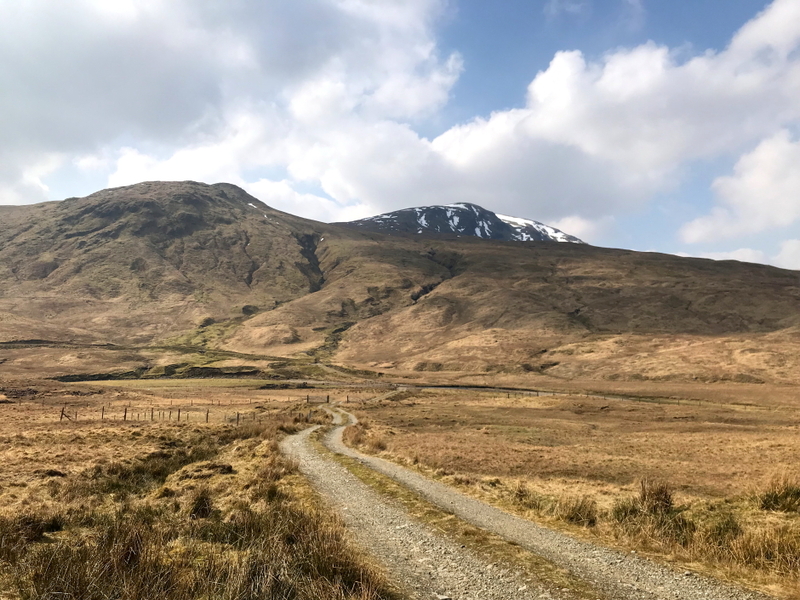 It was nice to approach Beinn Mhanach from Glen Lyon instead of from Auch. 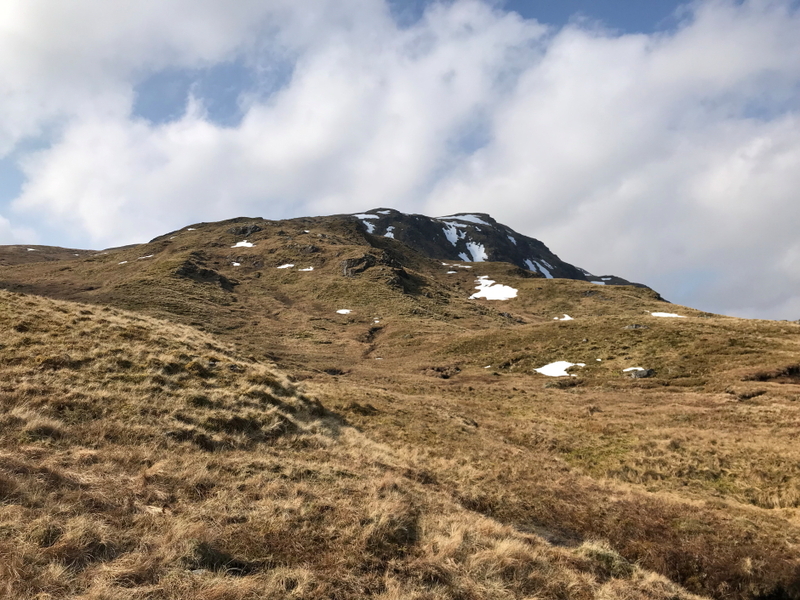 Meall Gheordaidh, Beinn Sheasgarnach and Creag Mhor, and Beinn a' Chreachain all also looked as though they would be great walks from Glen Lyon instead of from their usual starting points. The 7.5km from the starting point to the crossing of the Allt Cailliche passed fairly quickly owing to good company and having a laugh along the way. The crossing of the Allt Cailliche was straighforward as the water level was real low. 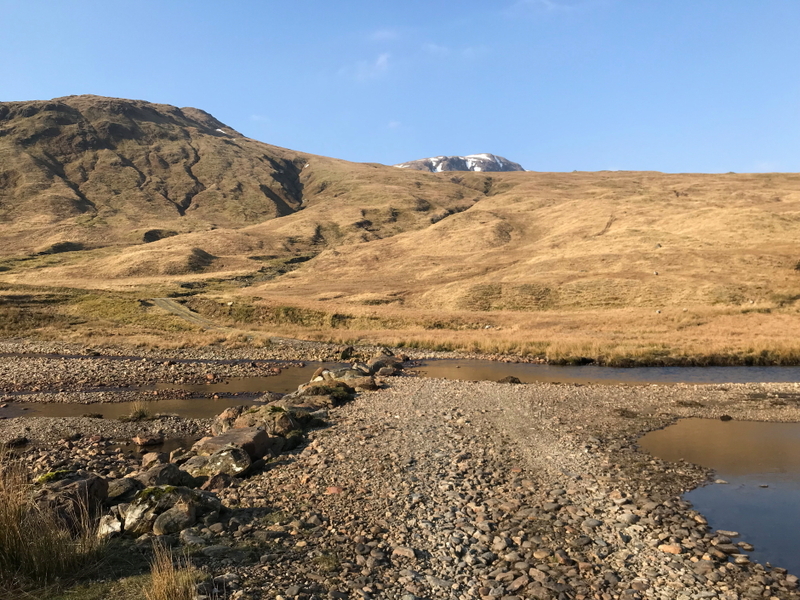 Given the number of stepping stones, the crossing could be 'interesting' after a spell of heavy rain or snow-melt. Beyond the crossing we followed a vehicle track up the hill. Despite the recent dry spell the ground was still quite wet underfoot. 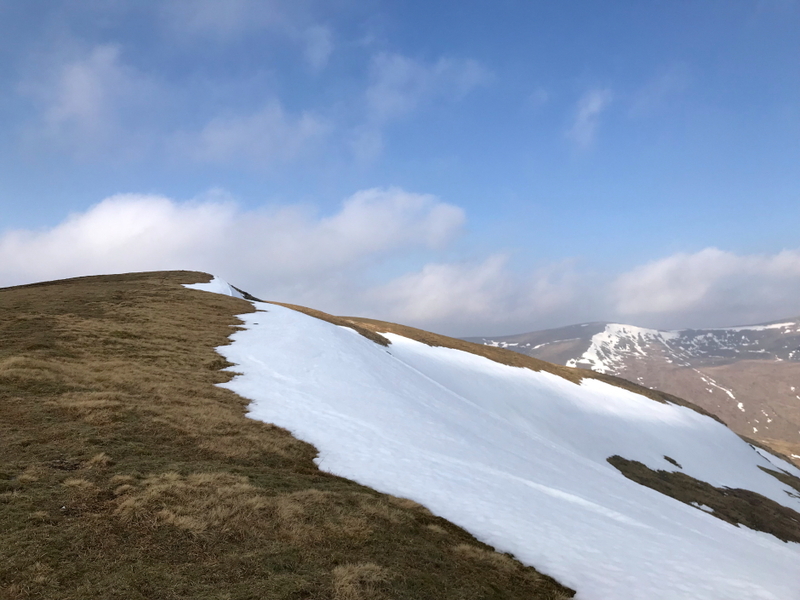 We gained the NNE ridge between Creag Bhuidhe and Beinn Mhanach and then followed the NNE ridge to the summit. 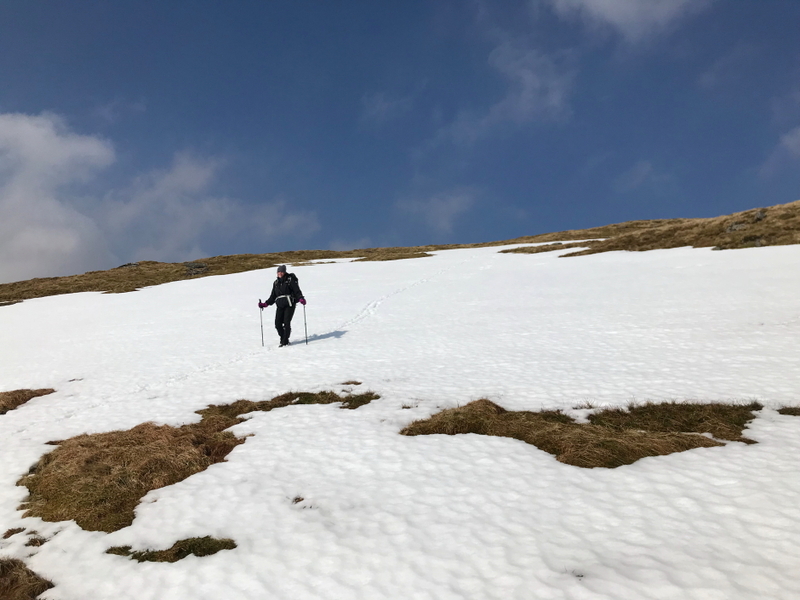 In ascent, we avoided most snow patches. In descent, we would walk on as much snow as possible . It was great to reach the summit given the doubts I had about reaching it (peroneal tendon injury). After taking a few pics, and having a quick drink at the summit, we returned via approximately the same route back down to the burn crossing. Once across the burn we stopped for our first bite to eat of the day and another drink before walking the 7.5km back to the start. 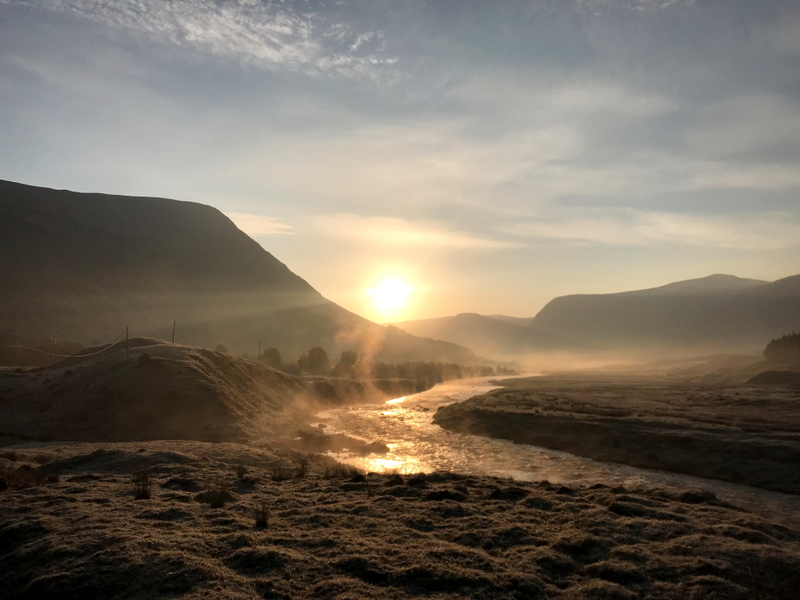 I was glad to eventually get back to the van as my ankle was aching and I had a couple of large blisters owing to wearing trainers and getting wet feet. 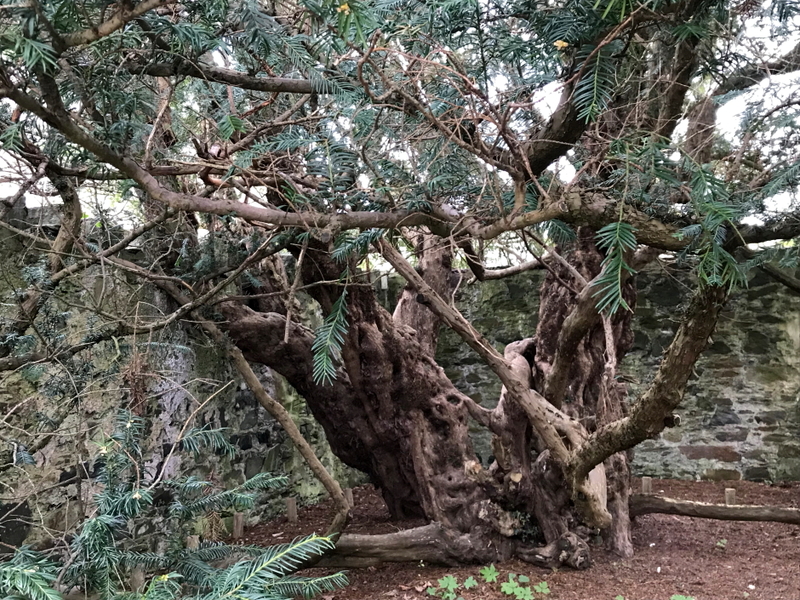 During the drive back along the glen, I stopped to have a look at the Fortingall Yew. The tree is thought to be 2000 - 3000 years old but could be as much as 5000 years old. It is possibly the oldest tree in Britain. A good day out. 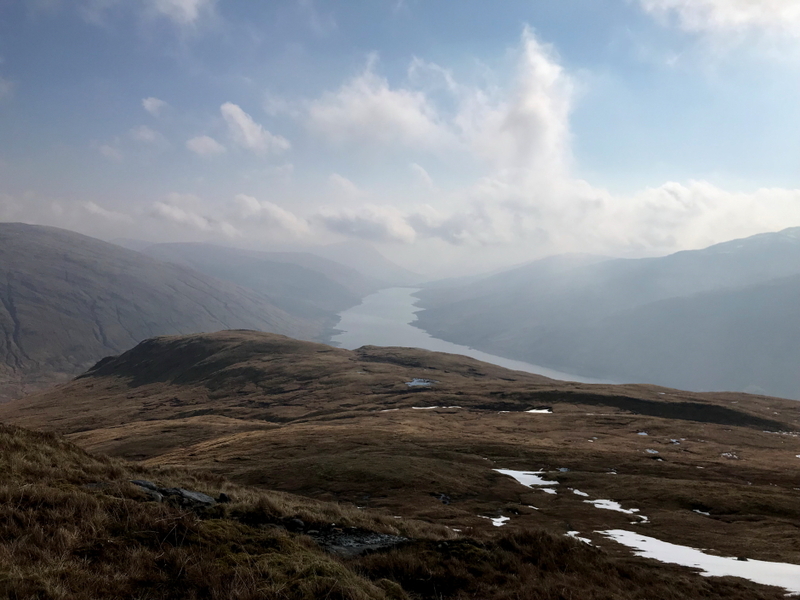 75 Munros to go.